The 3B RESmart auto cpap is our most affordable auto cpap but the modest price doesn™t mean modest features. 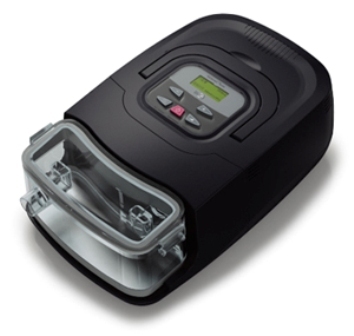 The RESmart auto cpap offers RESlex exhalation relief, automatic leak and altitude compensation, and embedded memory for compliance and therapy monitoring with iCode. iCode is a web based information management system that allows compliance and therapy reports to be generated anywhere without additional software. Sleep compliance data is encoded into a 14 character alpha-numeric strings that are displayed on the device screen. These alpha-numeric strings are entered into the online report generator at https://bmc-icode.com/ and an easy to read report is generated. The optional humidifier has five temperature settings allowing for optimal humidity and can be easily removed if needed. Dimensions with Humidifier: 12.5" x 7.5" x 4.5"
Dimensions without Humidifier: 9" x 7.5" x 4.5"
This cpap machine was easy to set up and I would recommend it to others. Also the customer service representatives Tony & Tom were exceptionally helpful.